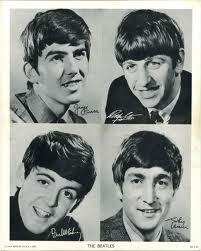 I’ve lost sleep trying to figure out what my favorite Beatles song is. Thankfully the internets showed up with PollDaddy and YouTube and now I can pose the question to all 26 Institute of Idle Time readers…. What is the best Beatles song ever? These are songs from the first 3 Beatles albums – Please Please Me, With The Beatles, and Hard Days Night. After each Division crowns one song as the winner, those songs will battle each other in the final fight to determine which Beatles song is the BEST! Enough talk, let’s get to the battles! Alright here we go! Let the Second Round Battles begin!